This is part 1 of the series. 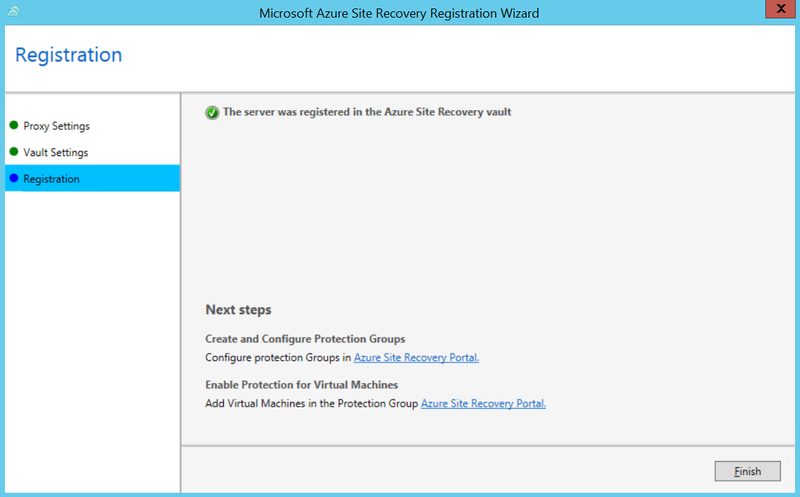 Click on “Site Recovery Vault” -> “Quick Create to create a new vault for Site Recovery. This is shown below. 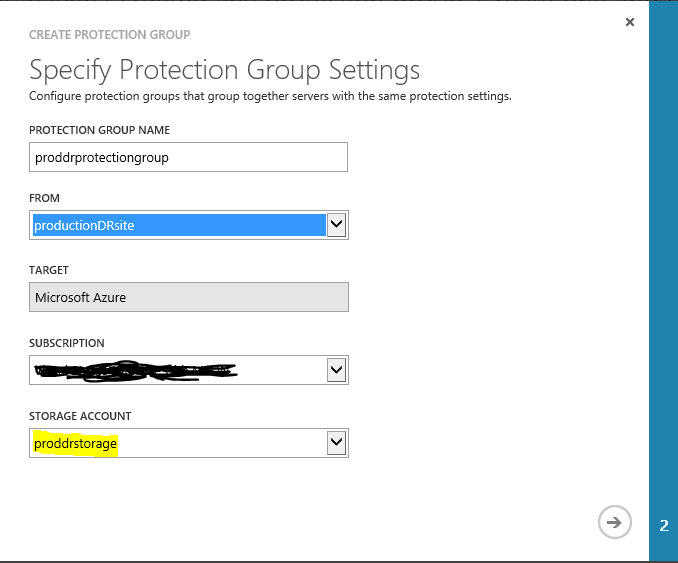 Provide name and choose and appropriate nearest location. 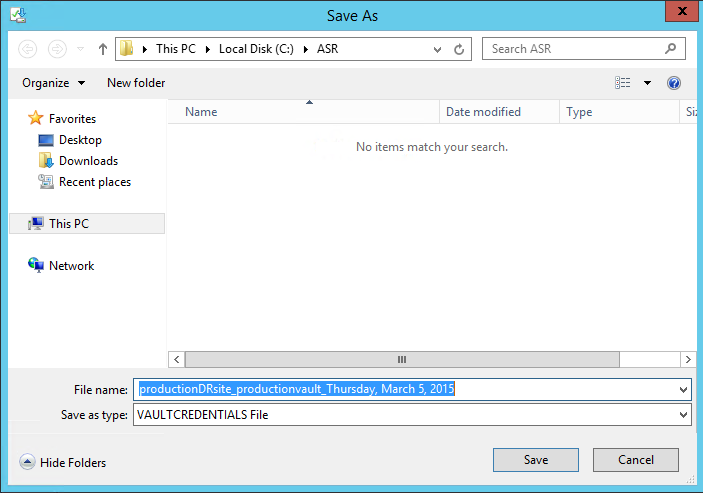 In this case, the name is “ProductionVault” and region is “East Asia”. 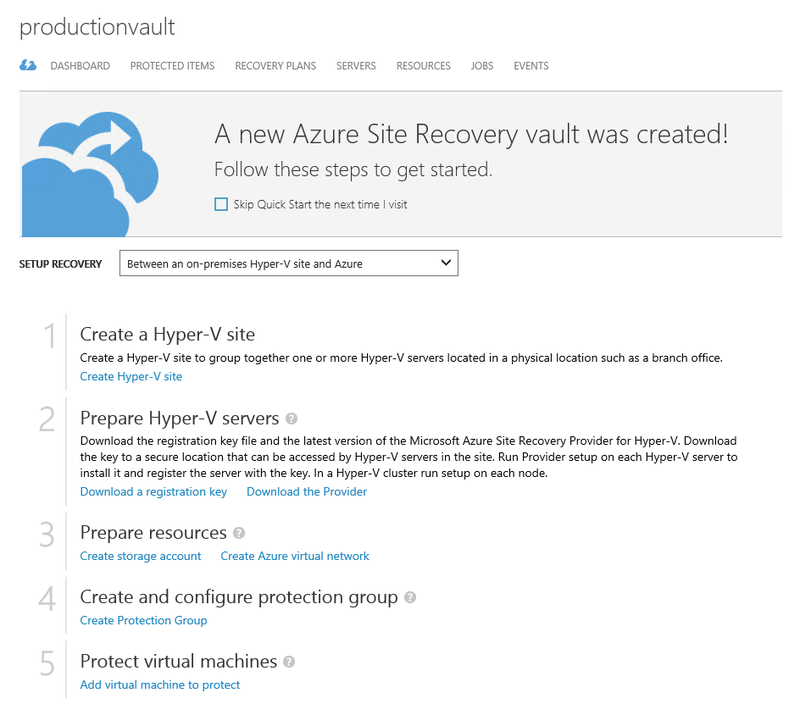 Click “Create Vault” to actually get the process of creating the vault get-going. Even if you provide the name with upper case letters, they would eventually be converted into lower case ones. 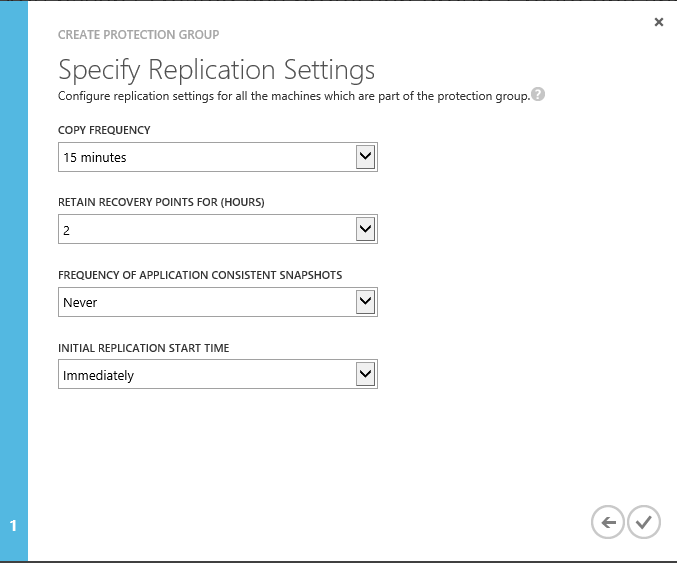 It will take around 30 seconds to a minute to create the vault. 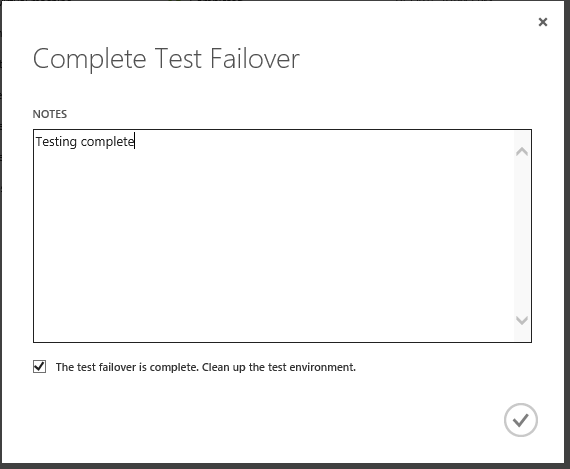 Ensure that a Green check is shown against the name inputbox to ensure a valid name is used for the vault. The result should like below. 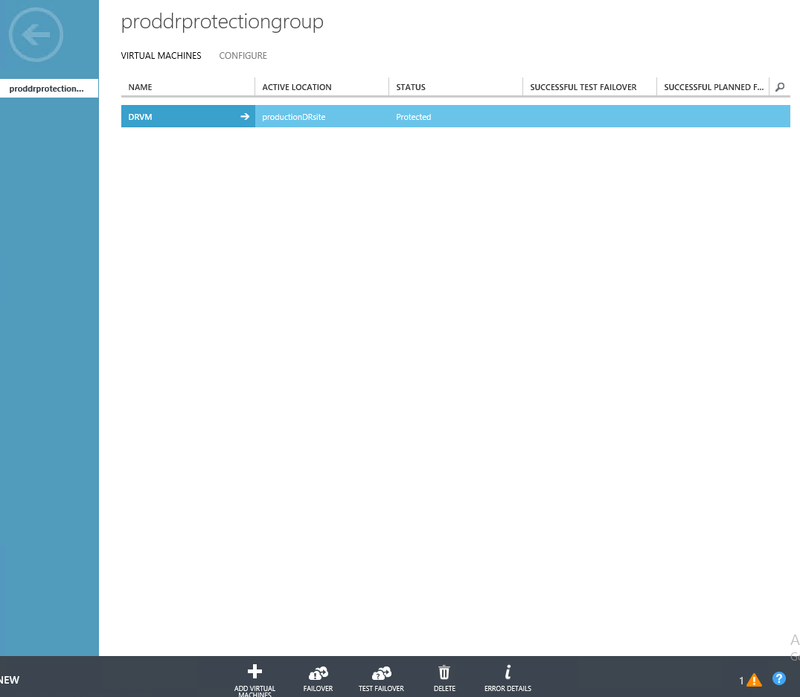 I already have created a vault but the vault of importance is “ProductionVault”. 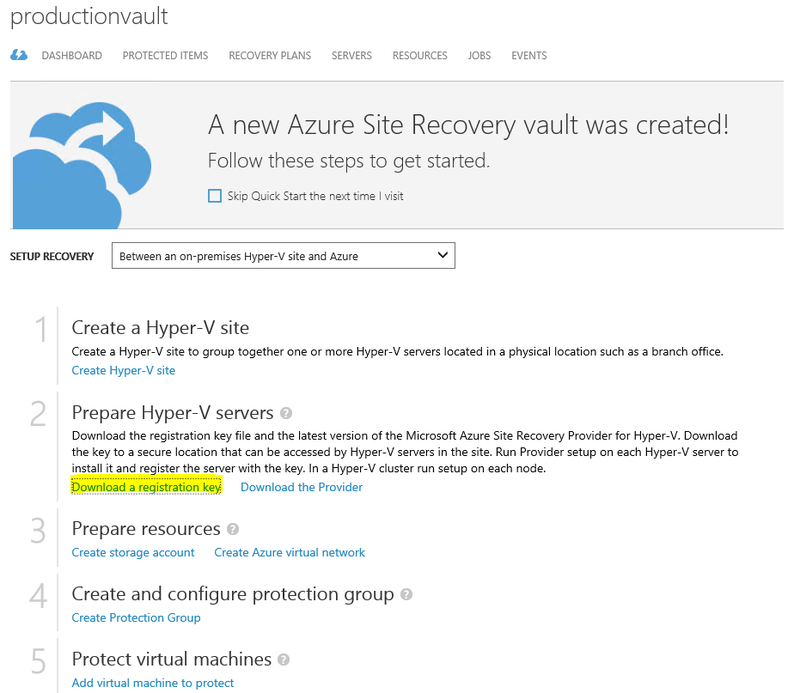 Click on “ProductionVault” to view all of its configuration details. 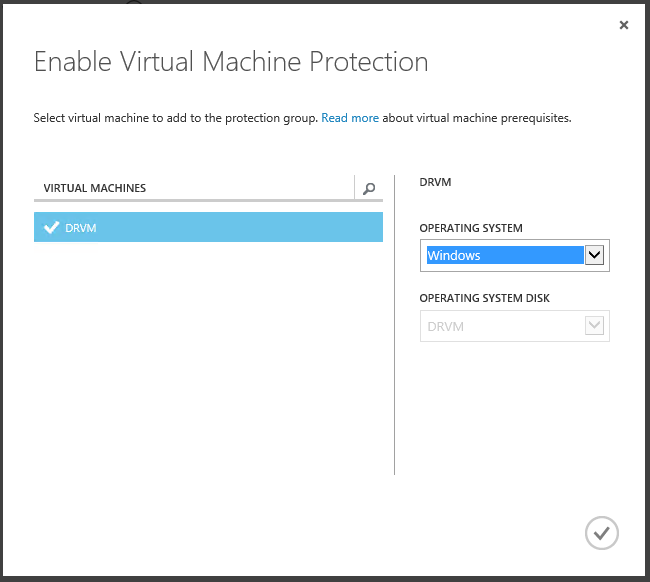 The first time you get into the details of a vault by clicking on its name, a pop up window appears which would ask the user to provide details about “User Type”, “Purpose of Vault”, what does the source environment and target environment looks like. 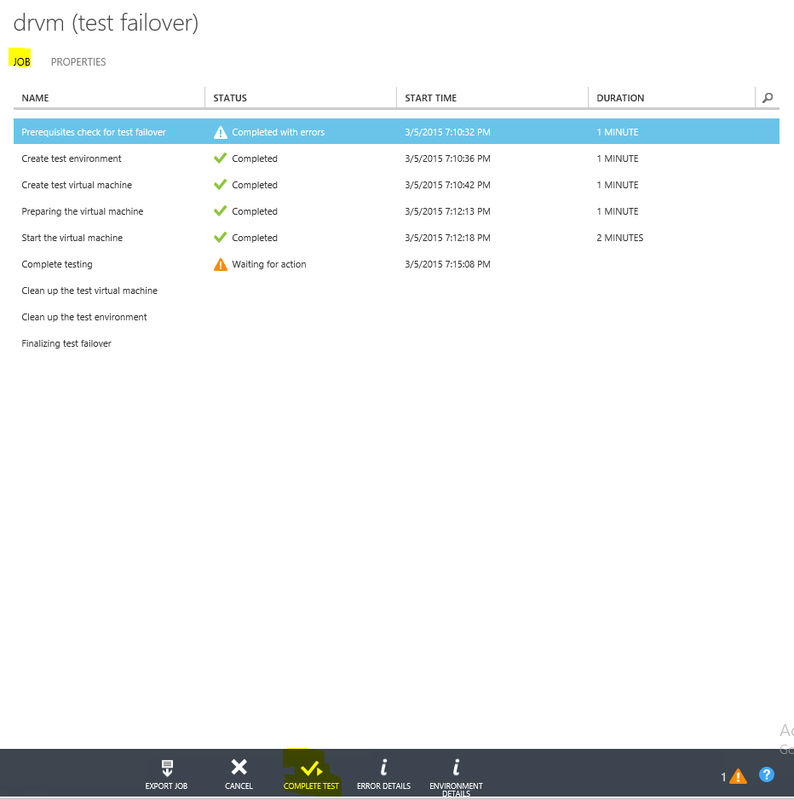 This is user to setup default values to some of vault configuration settings. 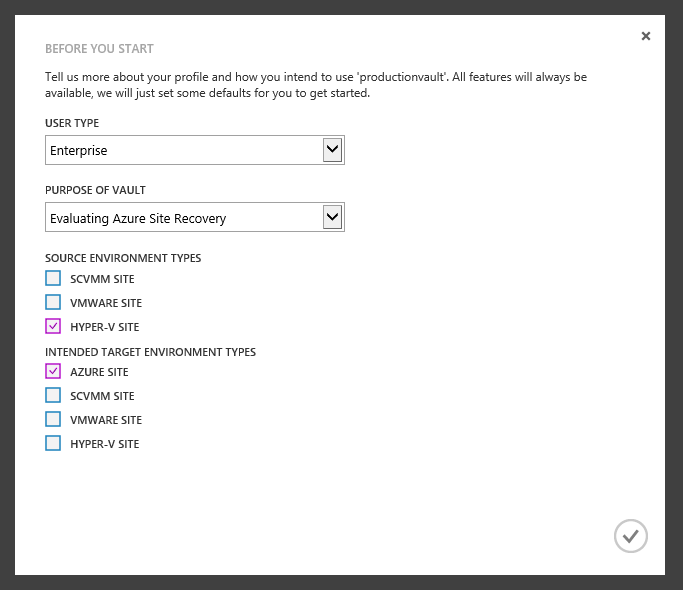 Choose “Enterprise” for Usertype, “Evaluating Azure Site Recovery” as purpose of vault, “Hyper-V Site” as Source environment and “Azure Site” as Target environment. 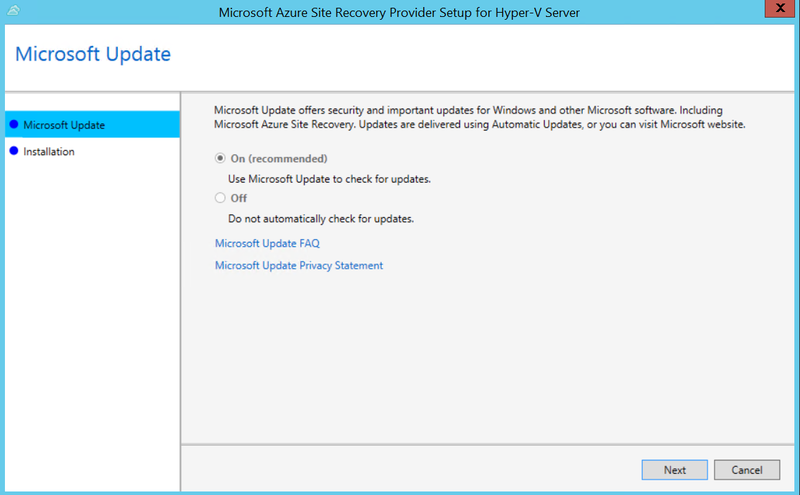 This is because we want Azure to act as out Disaster Recovery site and click the “Complete” button. 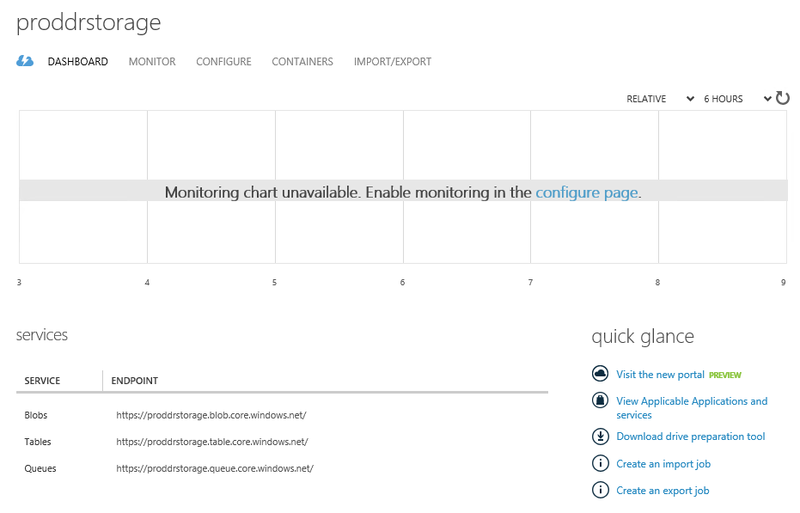 Following screen showing the dashboard would be displayed on the screen. 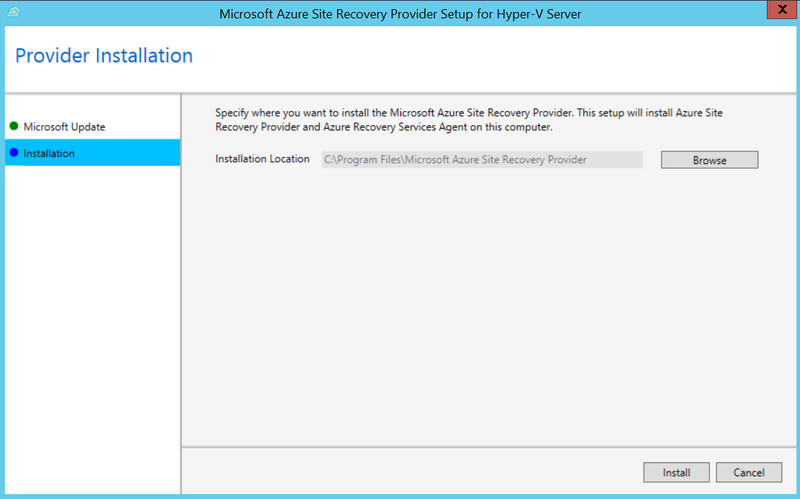 Note that Setup Recovery is already set to “Between an on-premises Hyper-V site and Azure”. 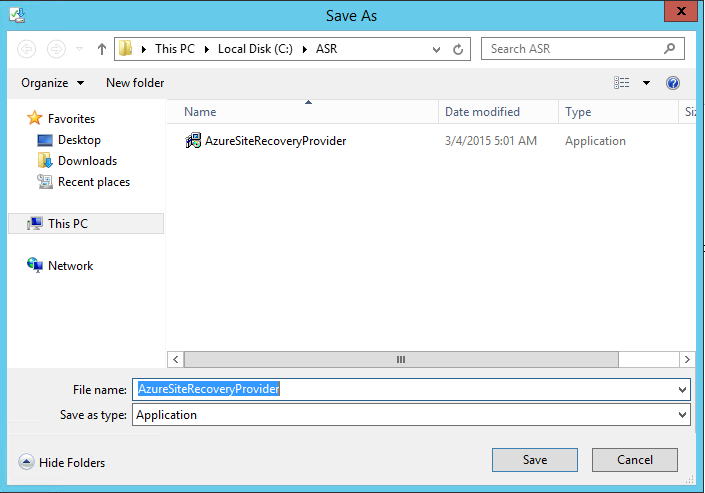 If not shown by default, select this option from Setup Recovery dropdown list as shown below. 1. 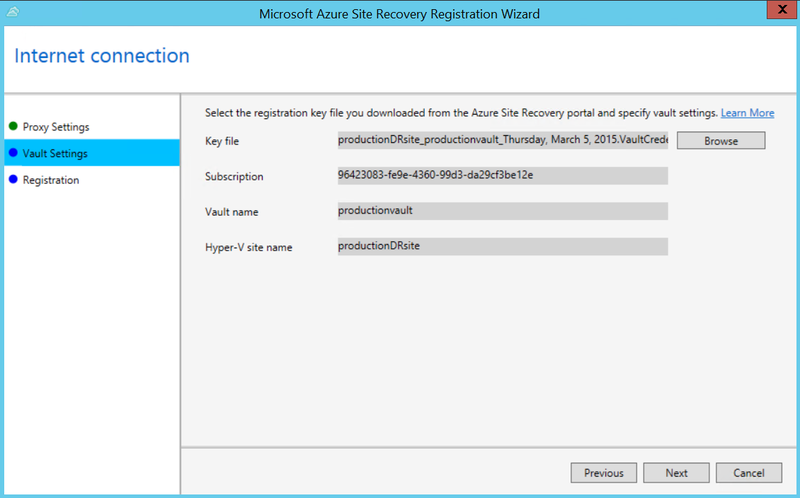 Create Azure Site Recovery Vault – this step is already performed above. 3. 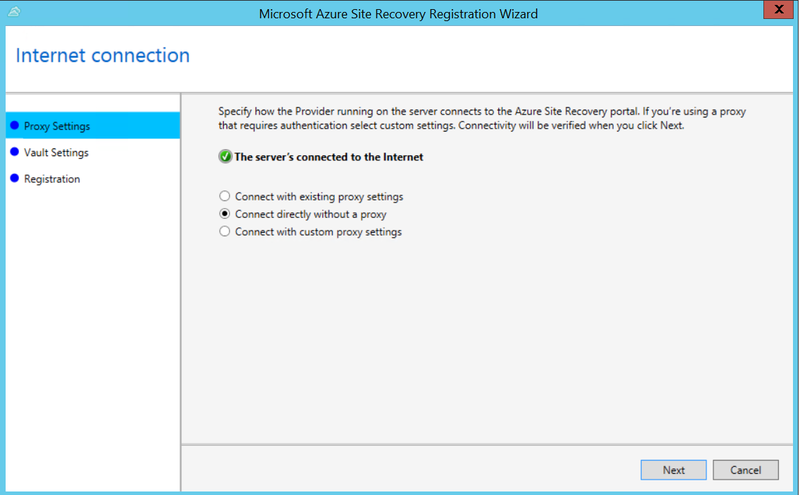 Choose Appropriate Setup Recovery type and download the Registration Key. 5. 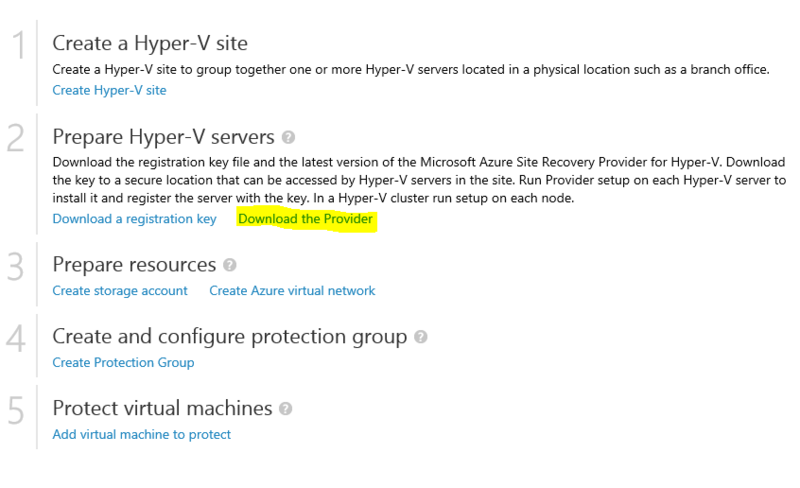 Install and configure the provider. 6. 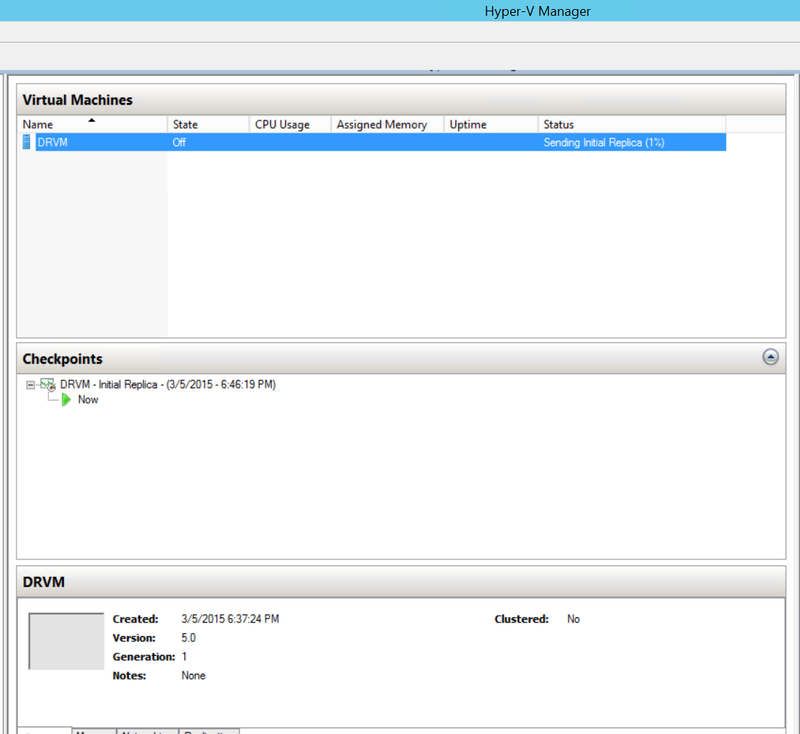 Create a storage account for storing the replicated VM’s storage and configuration. 7. 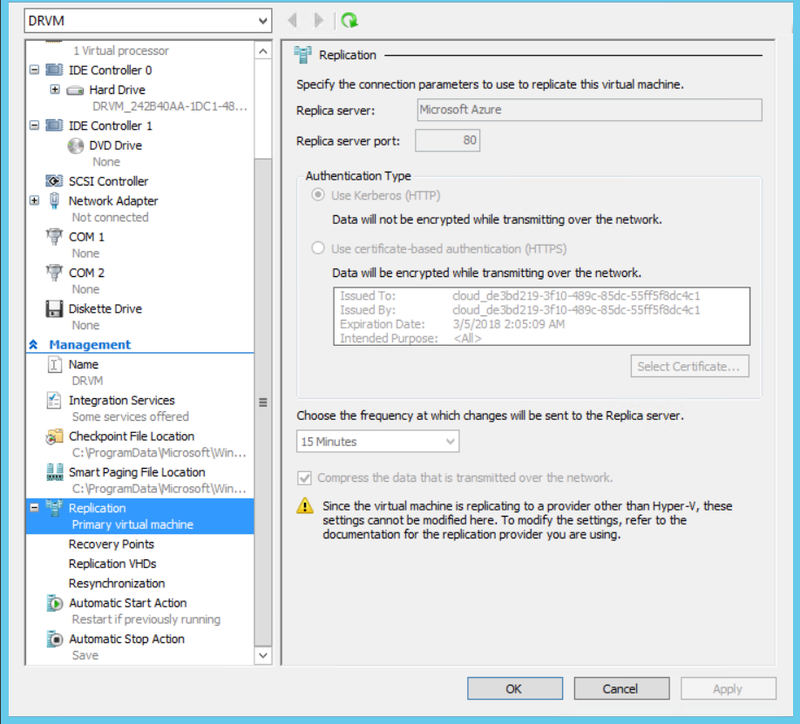 Create a virtual network though this step is optional. 9. 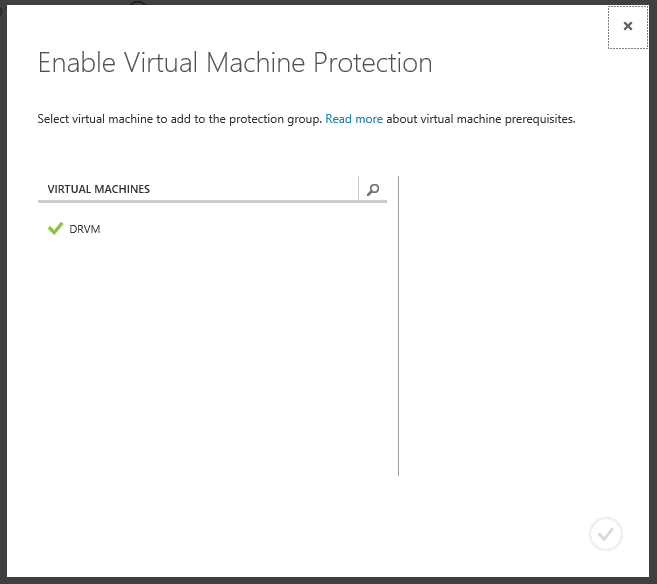 Add Virtual Machines to the Protection group. 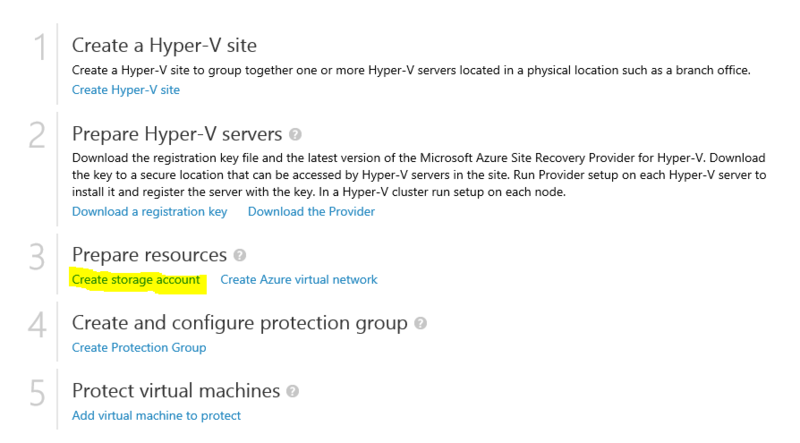 Before, we move ahead with configuring Azure Site Recovery it is important to understand some of its concepts and terminology. Vault signifies a secure storage of confidential information. 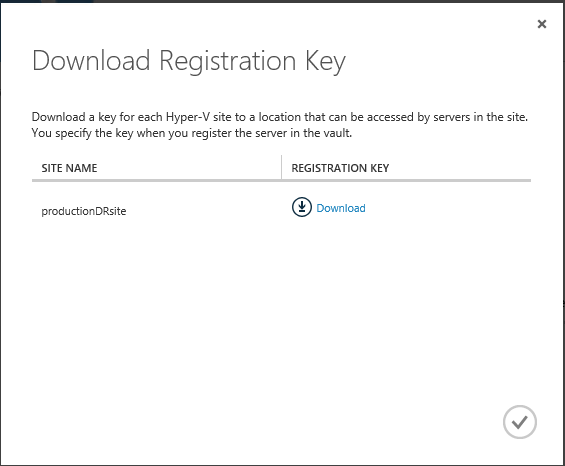 Vault is a container that has data encrypted within it such that it is accessible only to the privileged and that nobody can decipher the content of it. 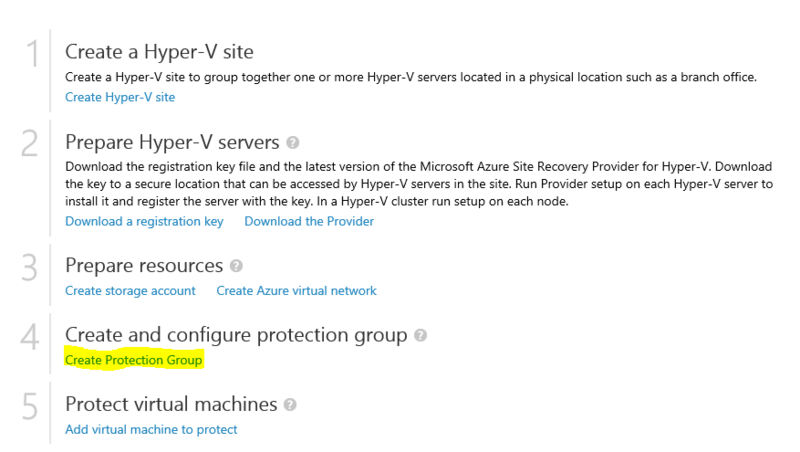 Azure Site represents a collection of Hyper-v servers and virtual machines from these servers are replicated to same azure site. 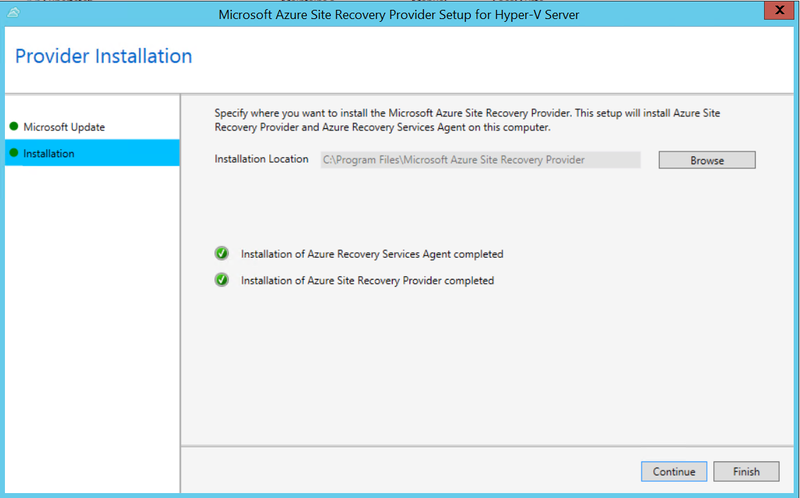 Azure Site Recovery Provider is the client side agent installed on Hyper-v servers. 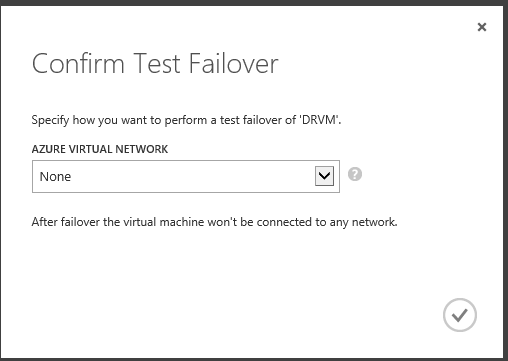 They are connected to Azure Vault and are responsible for sending Virtual Machine Metadata, VHD content, coordination between azure and Hyper-v server for failover and failback and other activities like whether the server is connected or not etc. 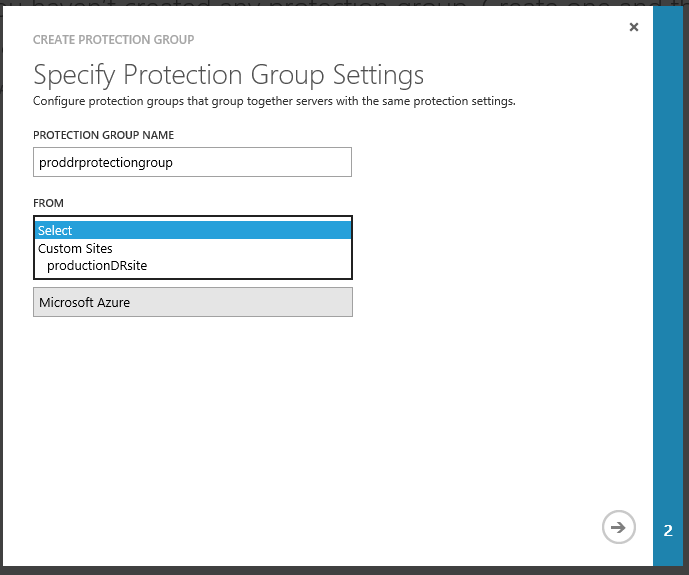 Protection Group represents a container with similar security and other configurations. 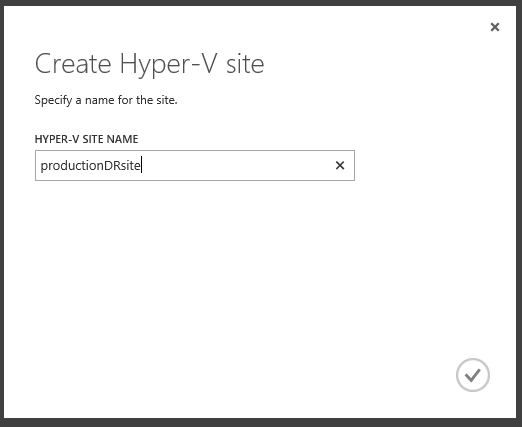 In next part (part-2), we will continue with the step by step guide and configure, Hyper-V Site, download Registration Key and provider.